Achilles Verified - Brockwells Forestry Limited. 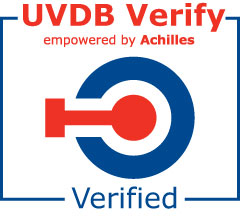 Achilles UVDB are a supply management community for the UK utilities industry, they were set up in order to provide a fair, open and transparent means of supplier selection for potential tender opportunities. Brockwells Forestry became Achilles verified in 2004 and has been compliant with the requirements of Achilles since then. review. More information can be found on the Achilles website.